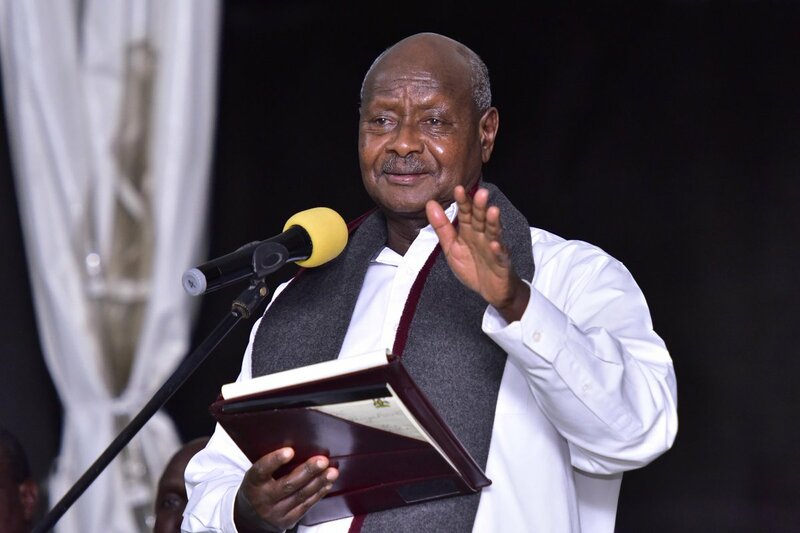 BEIJING, CHINA – President Museveni on Wednesday met a cross-section of Ugandans living in China, promising to attend to three key issues they raised for his attention. 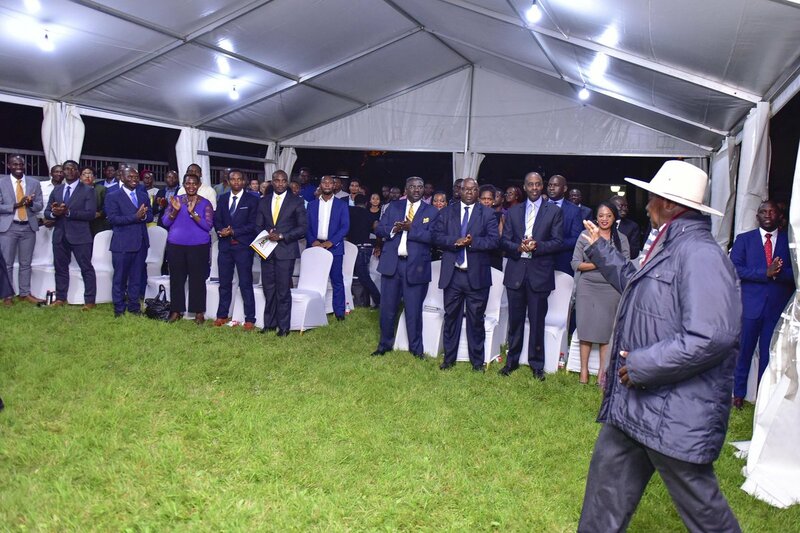 The Wednesday meeting, attended by about 100 Ugandans, was held at the embassy’s gardens in Beijing. Mr. Ntumwa Birimumaso, the proprietor of Ubuntu Cafe, a company that exports Ugandan coffee to China, told the President about the high taxes placed on roasted coffee beans yet they would fetch more money than green beans. “I began my company in 2016 and we process coffee into a powder which we sell to Chinese shops. Currently, we sell about four tonnes monthly. However, the high taxes both in Uganda and China are limiting our growth. We also need capital to expand,” he said. Mr. Birimumaso, a graduate of petroleum engineering from the Petroleum University of China, said he was engaging partners and next month (October) he would export 20 tonnes of coffee. Mr. Ivan Kagimu, the proprietor of the New Vision Education Training School, which has nine branches in Shanghai city, asked the President to make a case for qualified teachers of English language to be certified by the Chinese government. Mr. Kagimu also requested the government to support an initiative by Chinese investors who are willing to set up vocational training schools in Uganda with a bias towards industrial training. In his remarks, the President promised to raise the two issues (taxation and teachers certification) with his host, President Xi Jinping. “President Jinping actually touched on the issue of taxing value-added products when he spoke to us at the just-concluded Forum for China-Africa Cooperation (FOCAC). I will raise it with him,” said the President. “I also agree that our Bazukulu speak very good English. I will speak to President Xi on how they can be recognized and allowed to teach here,” he added. President Museveni also directed the government to help Mr Wilson Sonko’s sheer butter enterprise, where he supplies the product to China. 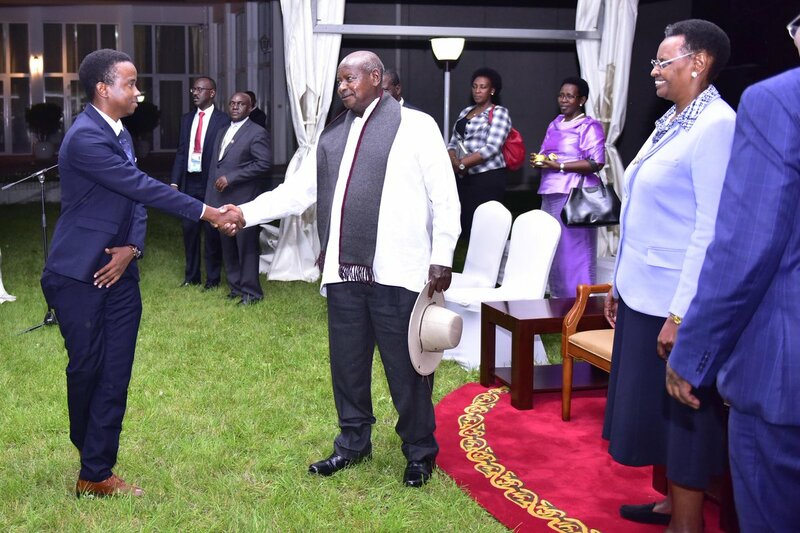 The President also directed the Ambassador, Dr. Crispus Kiyonga, to strengthen the trade research desk at the embassy, after the Chairman of the Uganda-China Forum, Benedict Kanjako, asked for a desk to help study the business opportunities in China.